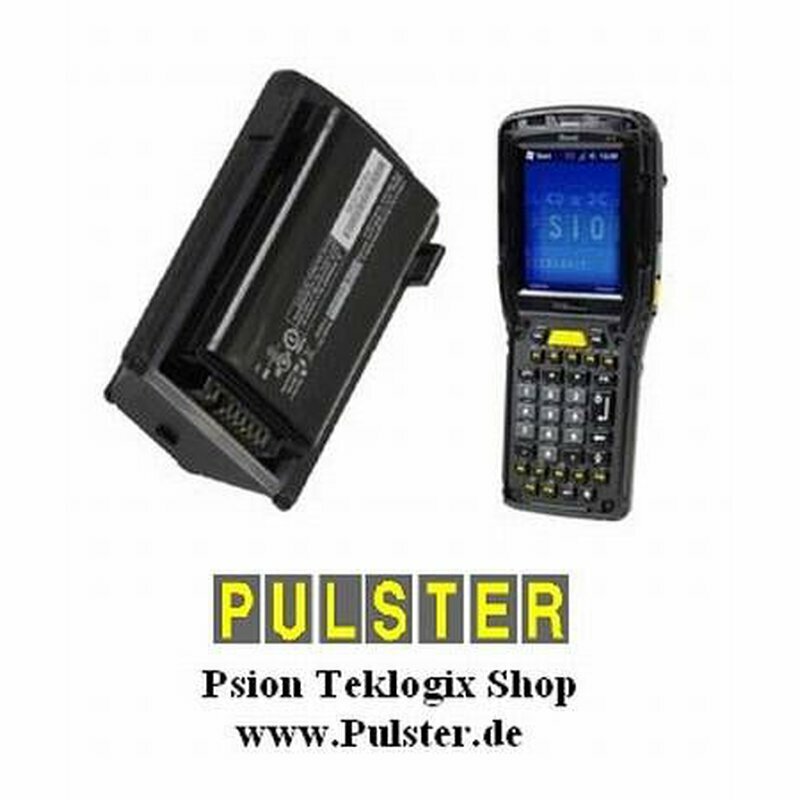 Psion Zebra Omnii rechargeable Li-Ion battery pack. Orignal OEM battery. Psion Art.No. : ST3003 "Omnii XT15 5300mAh Lithium Ion Battery Pack". If you use ST3000 or ST3001, this battery is the 100% replacement for it. Charging options see Omnii - Pulster-FAQ. Works with Psion Zebra Omnii Handheld XT10, XT15, RT15. Special freezer variant ST3002 and non-incentive ST3001-NI can be found with unit category. Original Psion Zebra battery, no cheap China rebuild. Factory NEW product, in stock, ready to ship. Special offer, best price worldwide.